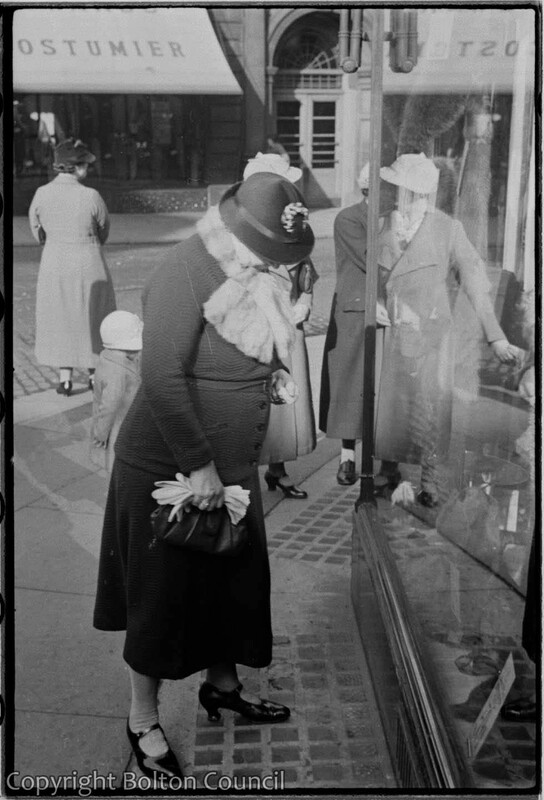 Window shopping outside Knowsley House in Bolton town centre. This shop is now Rhode Island Coffee (2012). An entrance to the market hall is visible at the back of the photograph.